Kayleigh is my daughter, and until about a month ago, I had thought of that incident as evidence of a brilliant parenting success: My child doesn’t see skin color! Indeed, that’s how it seemed to my mother, too, who recounted the incident to me later. “I thought it was neat that she was identifying this child by the color of her hair and her position in the room, and not the color of her skin,” she says. But increasingly, research shows that that sort of implicit “color blind” approach doesn’t go nearly far enough towards growing egalitarian belief systems in children. That’s because scientists now know that the human brain simply cannot perceive all people as the same. In fact, a growing body of research suggests that human beings are born to discriminate; born to notice differences between people and then categorize them accordingly. There is no getting around it: Skin color is plainly visible. 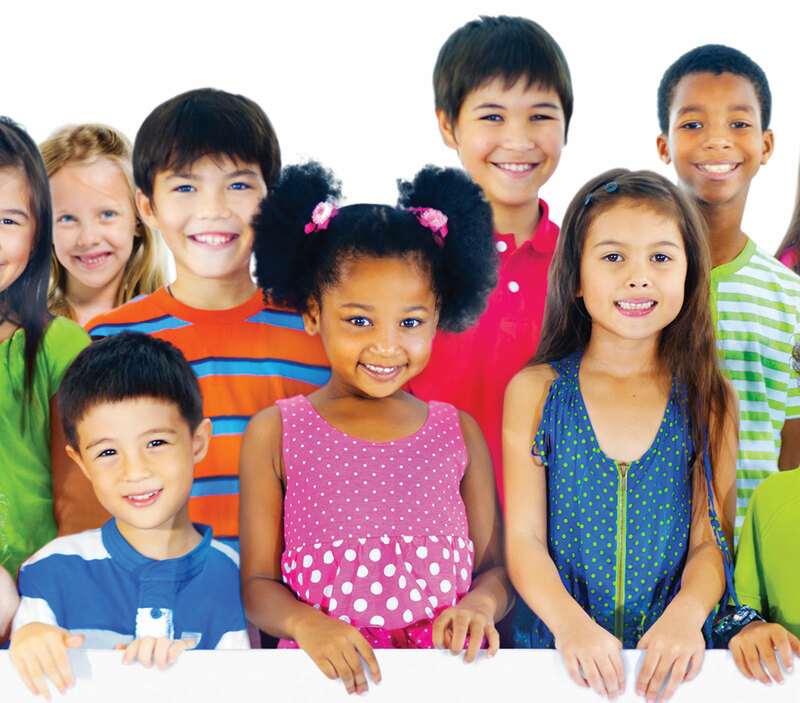 A child’s brain will notice skin color. Does this mean we are born to be racist? The good news? Though we are wired to notice differences, we are also wired for fairness, scientists say. What is called for now is a new approach to discussing race with children. Besides being hard-wired to notice differences, children are naturally inclined to gravitate towards the familiar and similar. Scientists call this “in group” and “out group” preferences, and, in the absence of other input, kids will choose in-group peers almost every time. Bronson cites research by Rebecca Bigler at the University of Texas in which preschoolers were given T-shirts to wear to school for three weeks. The distribution was random; half were given blue shirts and half were given red. During the experiment, the teachers never discussed the T-shirts or sorted the kids by shirt color in any way. This effect has real-life resonance in the schoolhouse. According to an Ohio State University study, the odds of a teen naming someone of the same race as a friend are about twice the odds of naming a friend from a different race. And surprisingly, the study also showed that the likelihood of segregated friendships actually increased as a school's racial diversity moved from moderately low to moderately high. “When you get larger minority populations, they reach a size where you can have a viable single-race community," researcher James Moody writes in the study. “At that point, students find enough friends within their own race and don't tend to make cross-racial friendships. In fact, numerous studies have shown that racially prejudiced people suffer acute physical stress reactions when interacting with people of another race; their stress hormones spike, blood vessels constrict, and hearts pump harder. In one study by Elizabeth Page-Gould of the University of Toronto, European-Americans were paired up with partners, either black or white, and told to share personal information. Stress levels were tested before and after the interaction by measuring the stress hormone cortisol in the participants’ saliva. The study found that white people who scored high on a measure of automatic prejudice — the degree to which they associate certain ethnic groups with “good” and “bad” — had spiked levels of cortisol after a friendly cross-race interaction. Other studies have also shown a release of DHEA-S, the hormone that usually spikes in the wake of a “flight or fight” reaction. Over time, this kind of response wears on the heart and can damage the immune system. Groups like Committee for Children and The Reach Center work to increase cultural competency by creating school curricula that prompt rich discussion around matters of race. But for egalitarian values to truly sink in, the message needs to begin at home. That’s a prospect many parents — especially white parents — find uncomfortable. And, also, unfortunately, to the “expertise” of the media. “Our kids are surrounded with racist messages every minute,” says Olsen Edwards. “Parents have to be prepared to speak to that.” Olsen Edwards took her granddaughter to see the movie The Lion King. “When we came out, my granddaughter said, ‘Nana, I don’t like those brown people.’ That’s when I realized that all the bad characters are dark. Olsen Edwards says parents need to send a very clear message, beginning in infancy: Skin color doesn’t make a bit of difference to the kind of person that you are. Tell kids, “There are good, kind people who are dark and who are white, and mean people who are white and who are black,” suggests Olsen Edwards. Surround your child with books, dolls and videos that feature people with different colors of skin — and explicitly point out those differences. Tell them, “This is what human beings look like. They come in all different colors. Isn’t that beautiful?” Look for opportunities to point out differences in contexts kids will understand. Raising egalitarian kids takes consistent effort, more than many of us previously thought. “You kind of have to find your way through it,” says Bronson. “You have to use your kids’ interests; you have to use what’s around them. It’s a continuing process. Tell toddlers, “Everybody’s got skin. It keeps our insides in! Skin colors come from our birth moms and dads. Names of skin colors are silly — no one is black and no one is white. ‘Black’ and ‘white’ are the names of big families of people from long ago. People whose families came out of Africa get called ‘black,’ and people whose families came out of Europe get called ‘white.’” Offer other names for skin color: mahogany, toffee, tan, cream, white-brown, toast. With teens, help them see that when things are unfair and wrong, they can make them right, and that people do that all the time. Discuss and model for your children the belief that people can take on unfairness and work to change it. Tell them, “That’s what people in our family do.” Make it explicit! 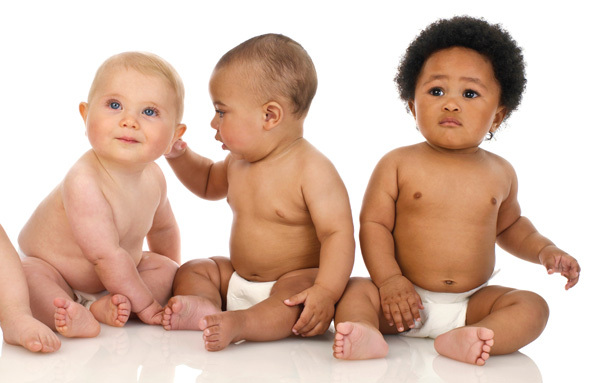 Are We Born Racist? New Insights from Neuroscience and Positive Psychology. Edited by Jason Marsh, Rodolfo Mendoza-Denton and Jeremy Adam Smith. Shades of People by Shelley Rotner and Sheila M. Kelly. A picture book about racial diversity for ages 4–8. Black Is Brown Is Tan by Arnold Adoff. A story about an interracial family; ages 4–8. Global Babies. A board book for babies by the Global Fund for Children. The Greater Good Science Center at UC Berkeley — Podcasts, articles and more from the publishers of Are We Born Racist?. A test that measures conscious and unconscious preferences, including racial prejudices, is available at https://implicit.harvard.edu/implicit. Teaching Tolerance — A project of the Southern Poverty Law Center; tolerance.org. Teaching for Change — Includes a wonderful recommended reading list for children; teachingforchange.org.